So among other things is it Holy Week, Malbec World Day and some incredible number of Portenos will be heading to Mar Del Plata for Semana Santa, to enjoy the “last weekend” of summer. I went to Mar Del Plata twice and basically hated it both times. My basic reasons are that the beaches are terrible, especially when crowded – and you are bound to get crowded this weekend as it is predicted that the normal 4 or 4.5 hour drive to get to Mar Del Plata will take up to 7 or 8 hours with all of the traffic. With the hoards comes no space on the beach, because somebody had the bright idea to basically rent all of it out as tent space instead of just having it be public and free. Here is an instance where I truly believe that privitization is not a good thing! The amount of beach space allotted to the general public is maybe 10%! Then you have the lines at the restaurants, etc. It would not be bad if you got rid of these problems. So for those with time I always recommend going to Punta Del Diablo, Uruguay, which is about 8-9 hours to get to anyway! Buenos Aires Market is the healthy food fair that counts with the participation of more than 70 producers. 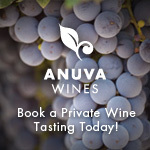 Tastings (food & EcoWines) for FREE! Several local bands of different music styles play for free at different venues of Buenos Aires’ Barrios (neighborhoods). FREE! Apart from the Museums, there are other several activities that were set to tour BA during the Holy week. Free bike tours in the city, concerts and different celebrations to check out.